Moscow can offer accommodation for any budget, from luxury, 5 stars international hotels to affordable hostels. Almost all international hotels are presented in Russian capital but huge demand from the business travellers rockets accommodation prices and availability is subject of early booking. 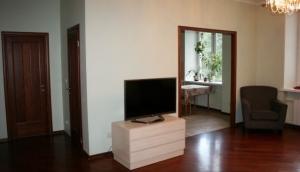 It is recommended to explore all accommodation options according the travel aims and needs; you can find very conveniently located serviced apartments or American run affordable hostels.These pages cover a variety of Moscow's accommodation. Our hotel booking engine ensures that you get the best deal on internet rates, also there is a possibility to book flights to Moscow using the same system. The listings are supported by photos and descriptions covering rooms, dining, facilities and a map.